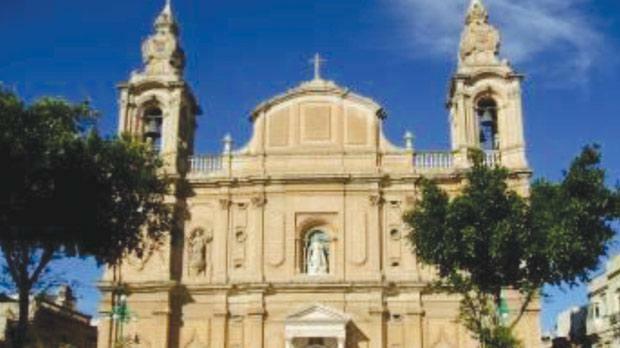 Msida became a parish in 1867 and for several years the old church of the Immaculate Conception served as the parish church which still exists today. The present parish church was built in the late 19th century and is dedicated to St Joseph. The design is typical of the traditional baroque churches prevalent a century before, but the Maltese were still adhered to this style, especially for churches. The plan is conventional and takes the form of a three-aisled Latin Cross, which was the most frequently adopted plan in the design of local parish churches. The façade comprises of a series of bays with the two outer bays surmounted by well-proportioned bell-towers. Lorenzo Gafa’s design for St Catherine parish church of Żejtun appears to have been the source upon which the architect Andrea Grima based his design. However, the main artistic highlight lies within the interior of the church with a mystical fresco painting over the choir vault depicting the death of St Joseph.